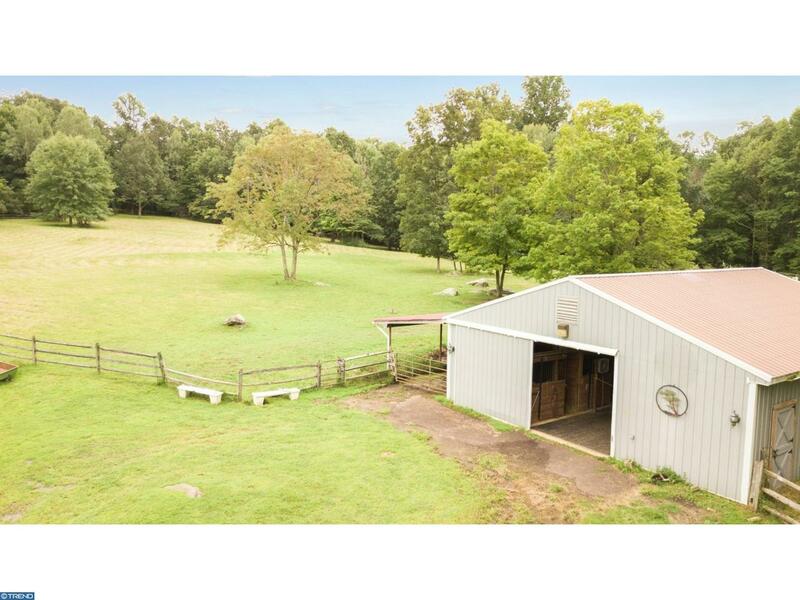 Butter Creek Farm is a place of serenity and natural beauty, a perfect mix of open spaces and woodland. 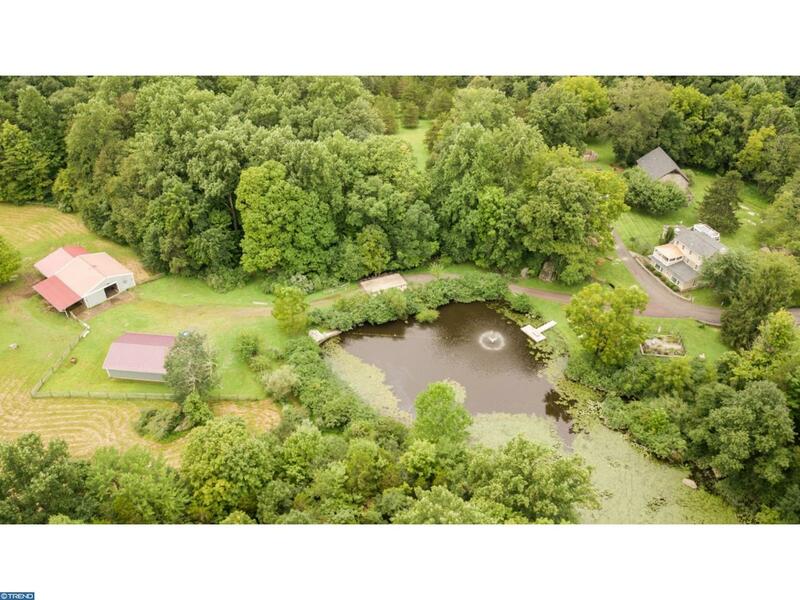 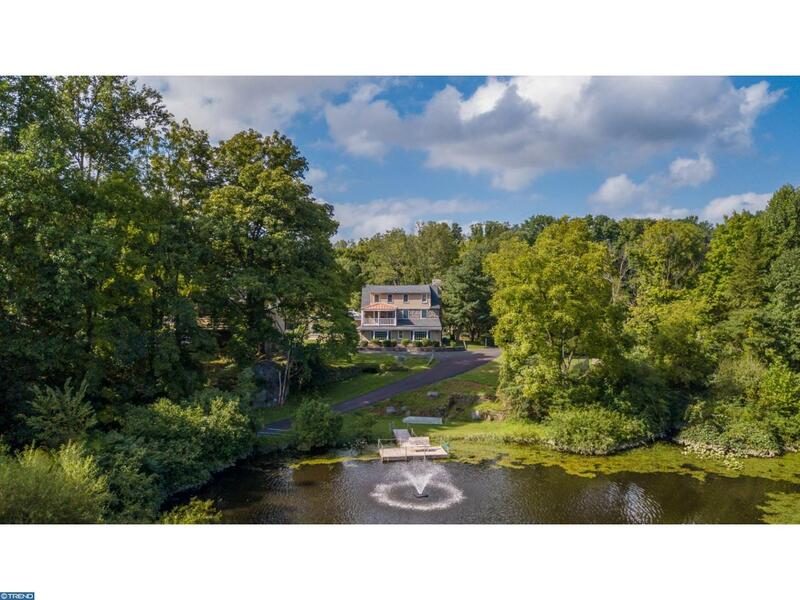 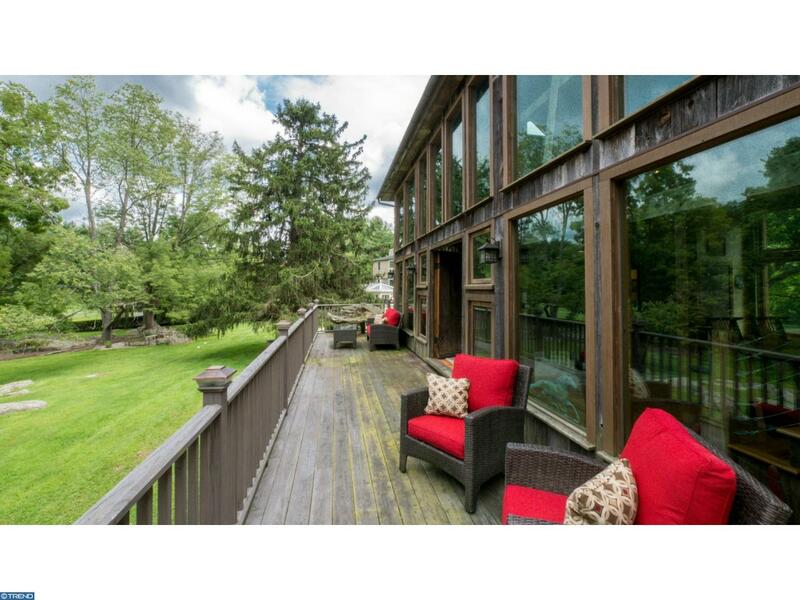 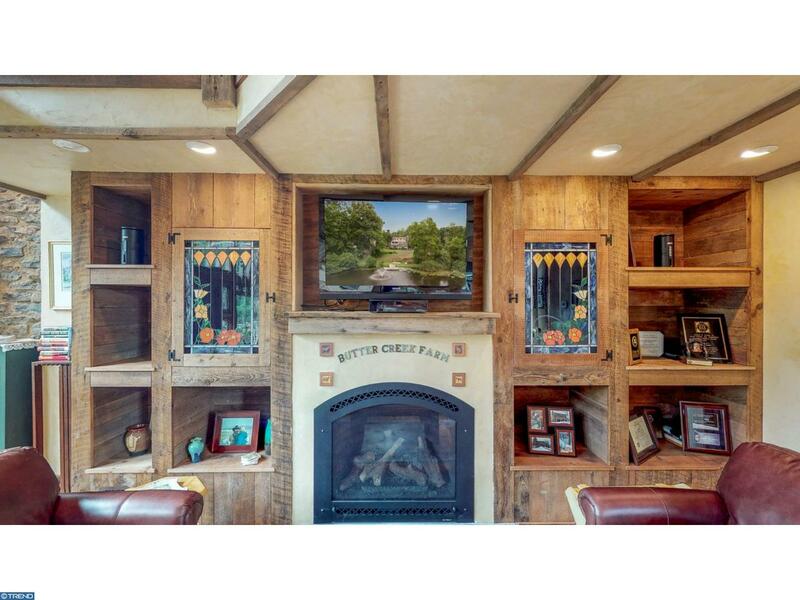 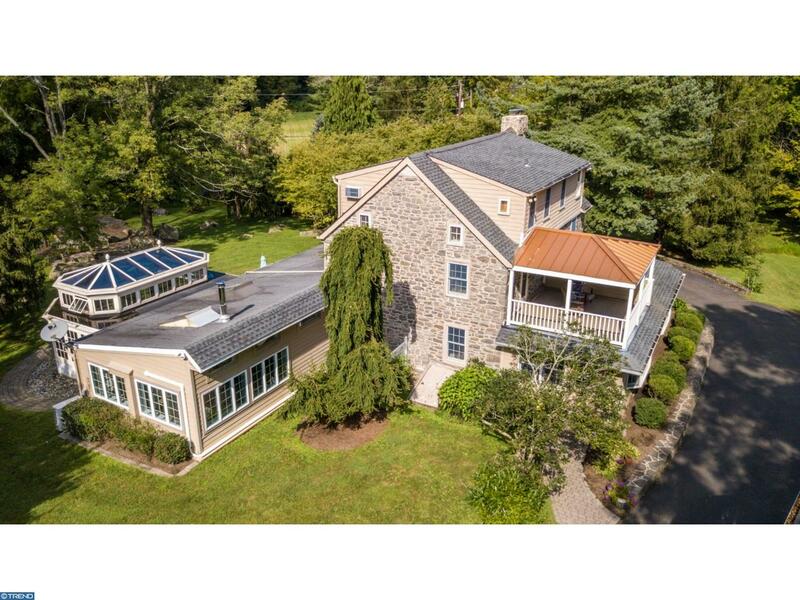 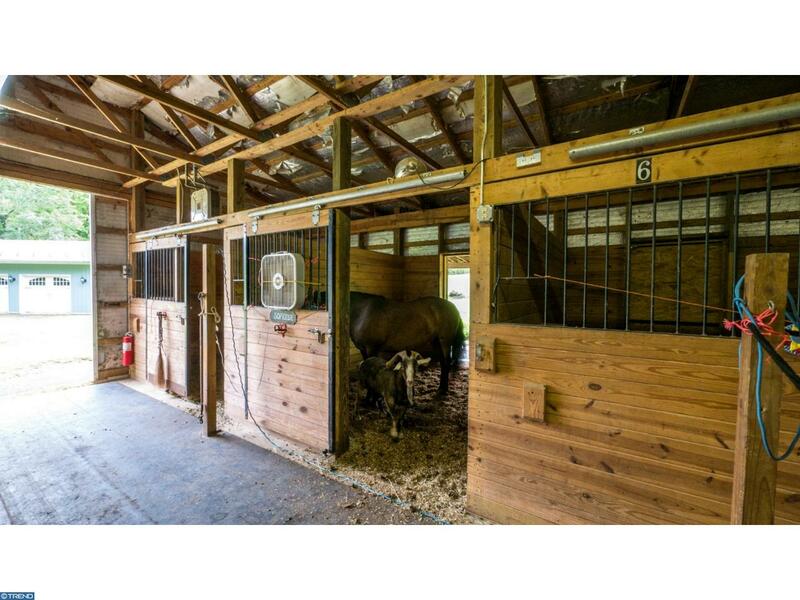 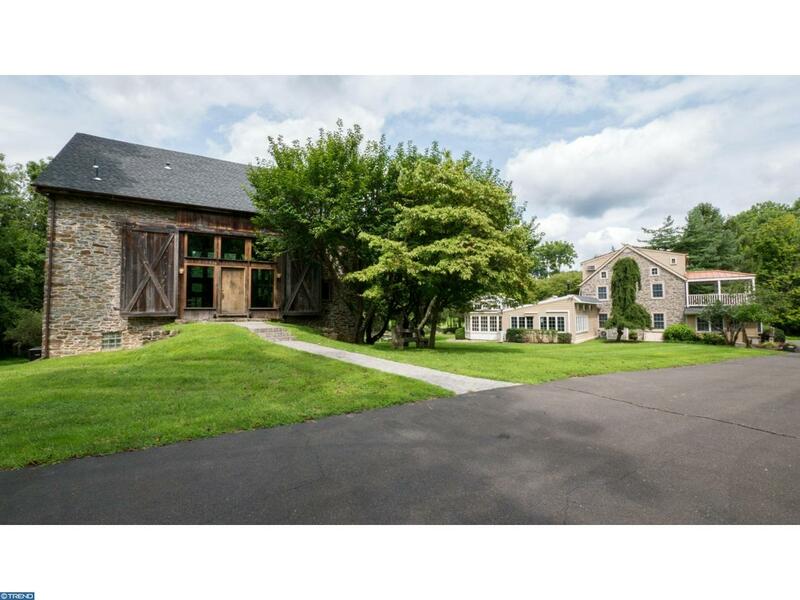 On this gorgeous gated Bucks County estate, you will find open fields with a 6-stall barn for horses or other livestock, surrounded by forest with walking and riding trails throughout. 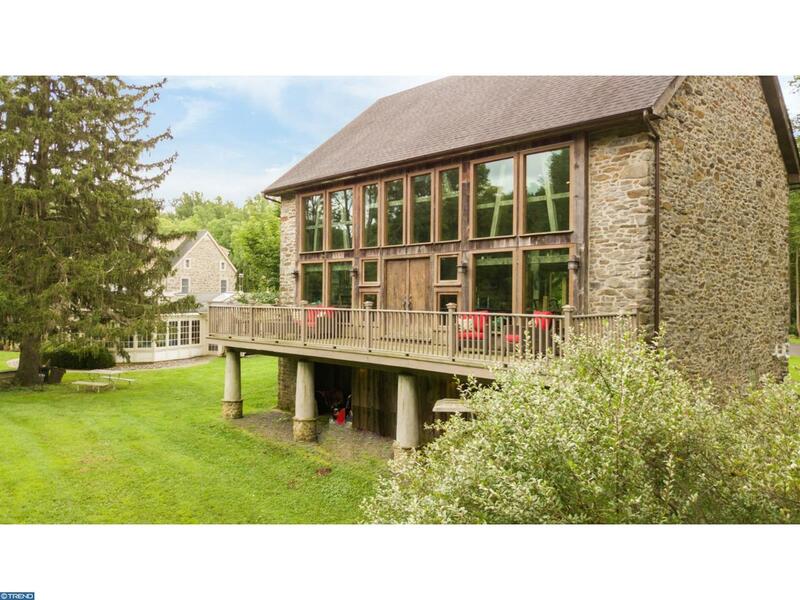 The 3-bedroom historic stone farmhouse has stunning views of the pond, unique custom windows and accents, warm wood floors, exposed stone walls, and sun-filled rooms. 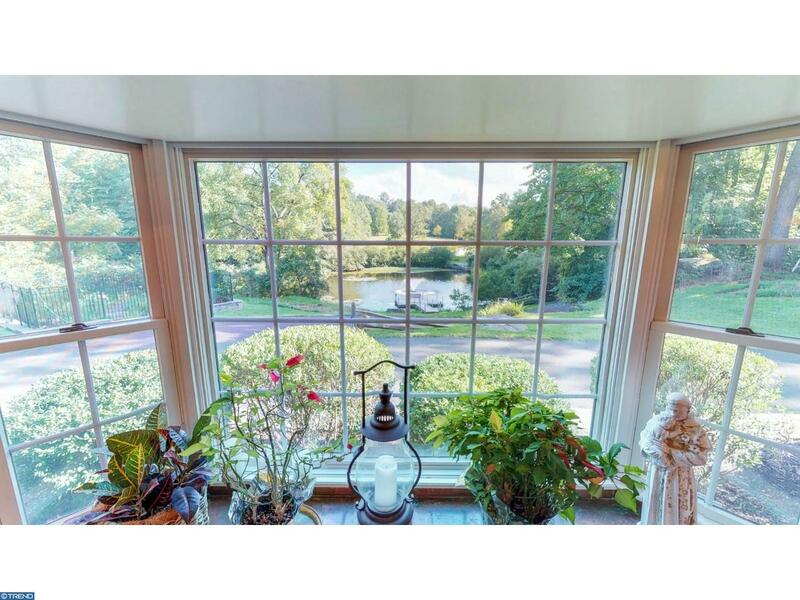 The custom conservatory is a place to embrace the beauty of all that Pennsylvania seasons have to offer. 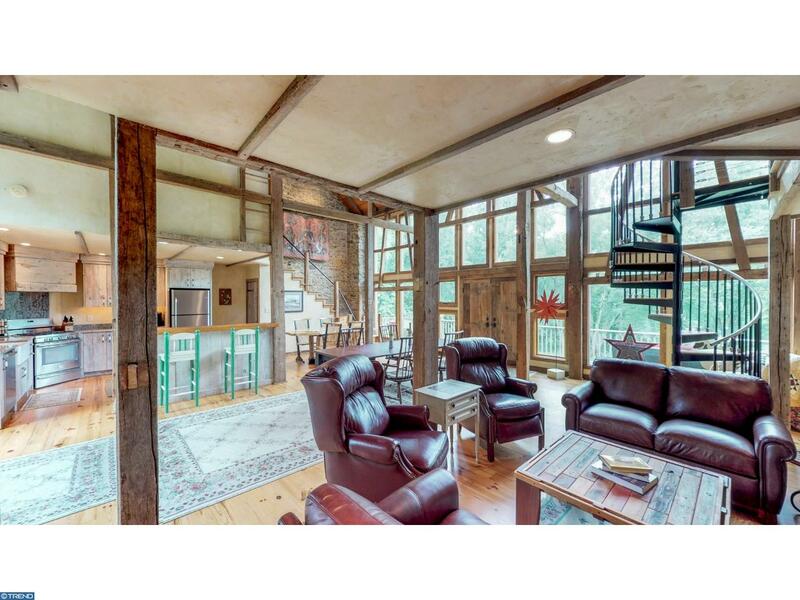 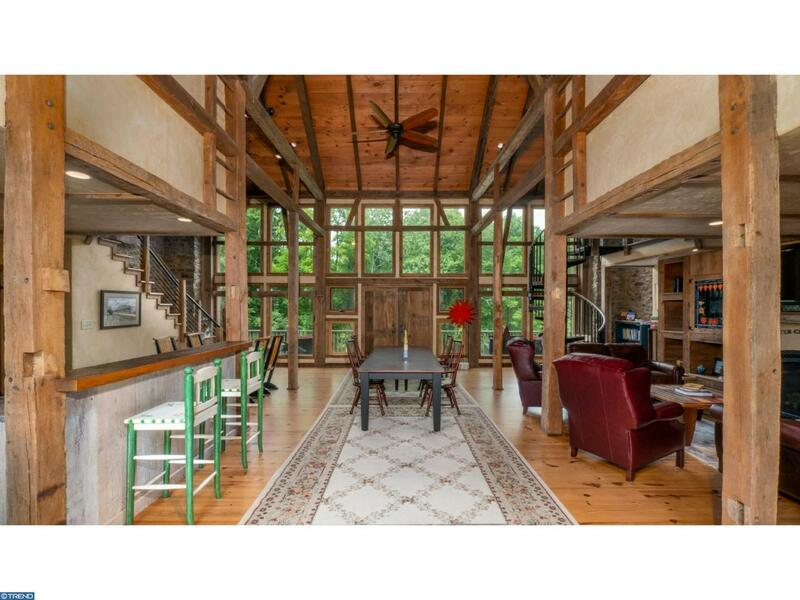 A spectacular converted bank barn serves as a second residence or guest house with 2 bedrooms with private baths; soaring ceilings, original beams and ladders, and an abundance of natural light. 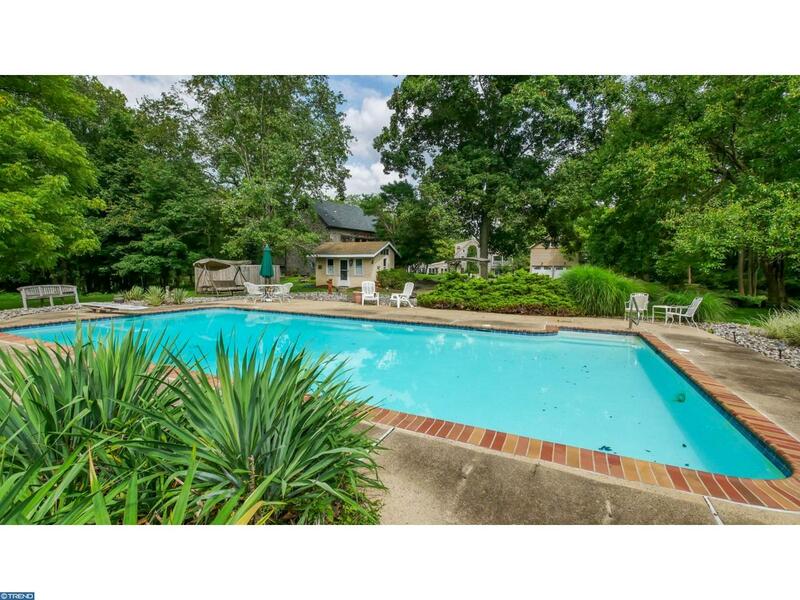 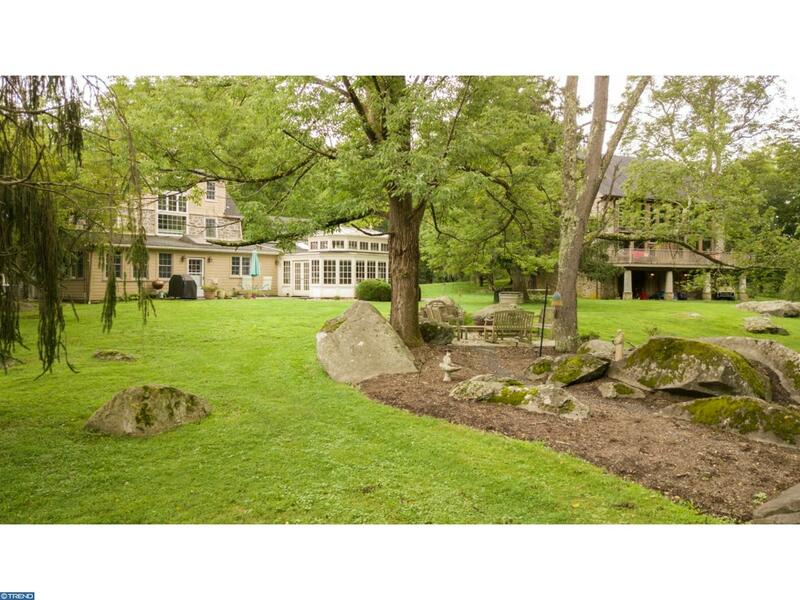 Both a lovely pond with fountain and an outdoor entertainment area with swimming pool grace the premises. 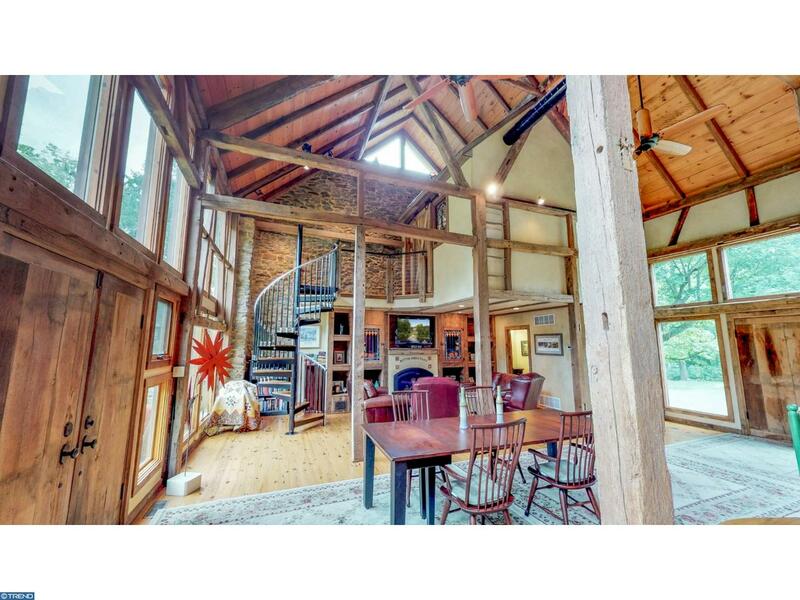 Additional features include a 2 car garage with upper level office; a 3 car pole barn and a whole house generator. 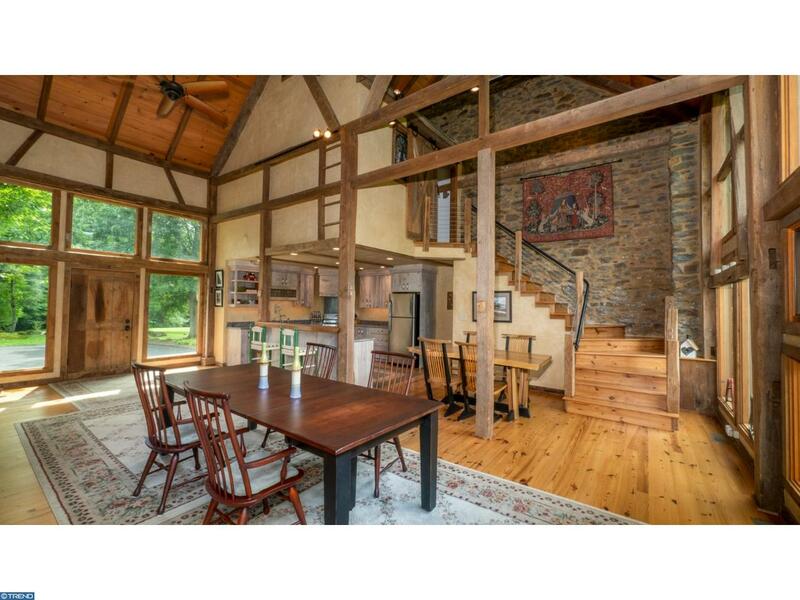 Close to Philadelphia and New York City, Butter Creek Farm graciously awaits you, your family and your friends. 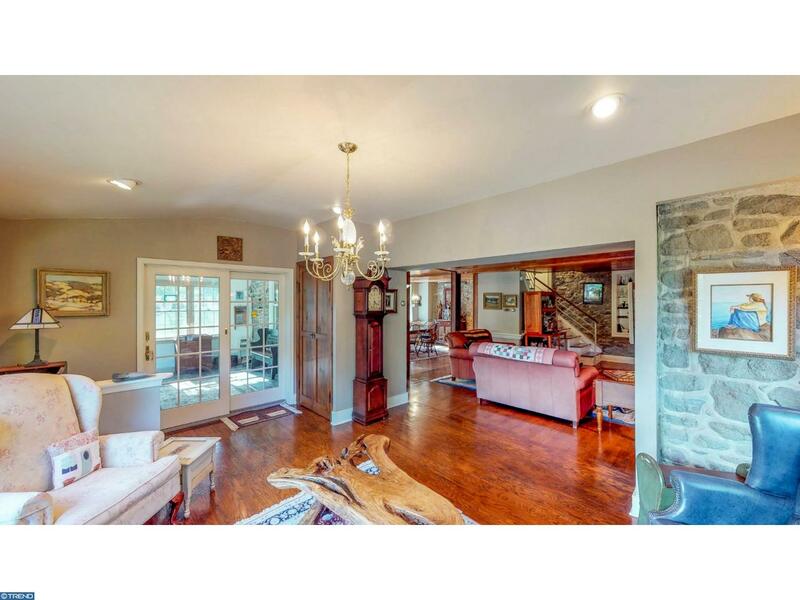 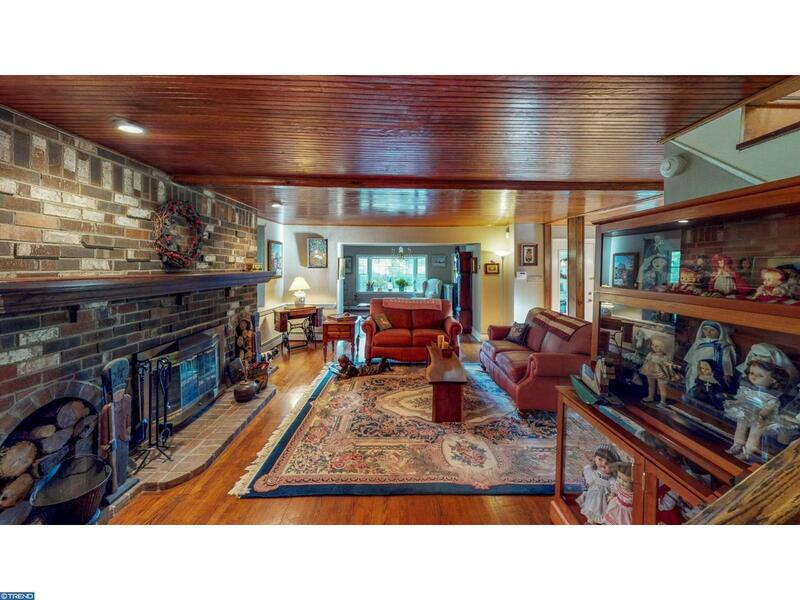 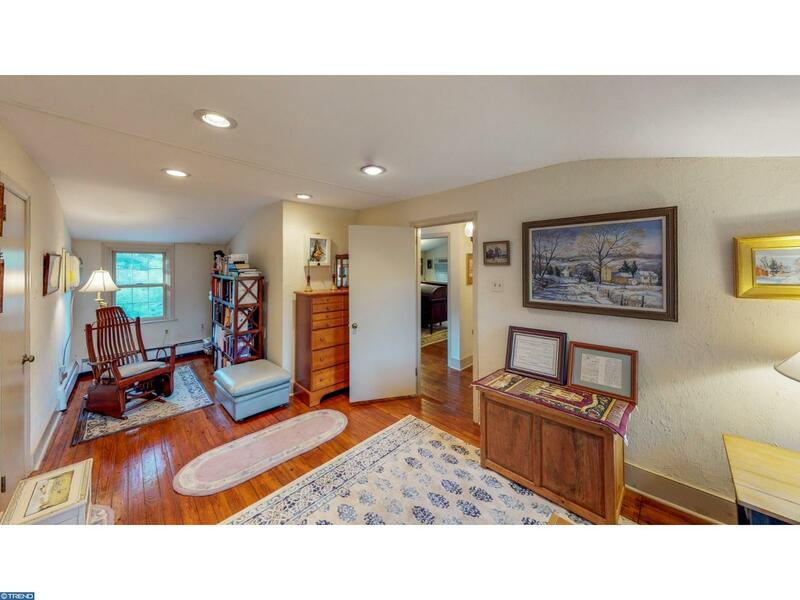 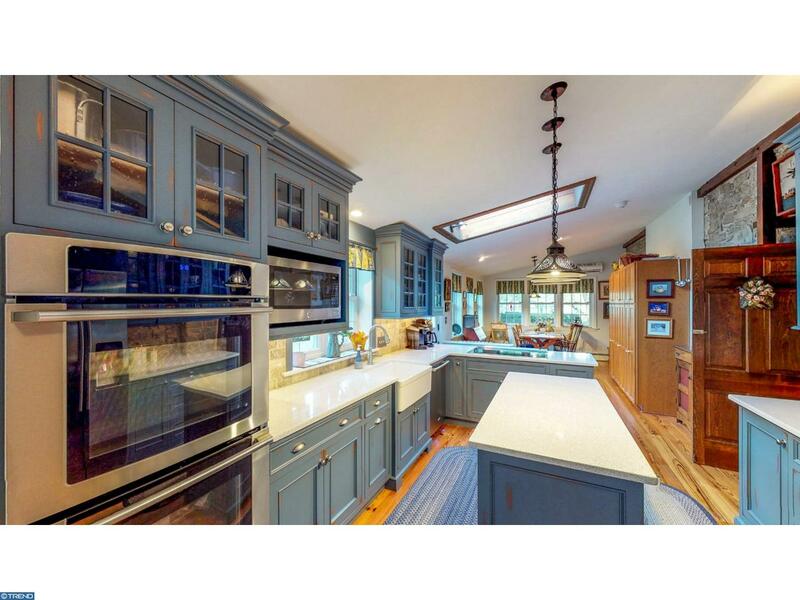 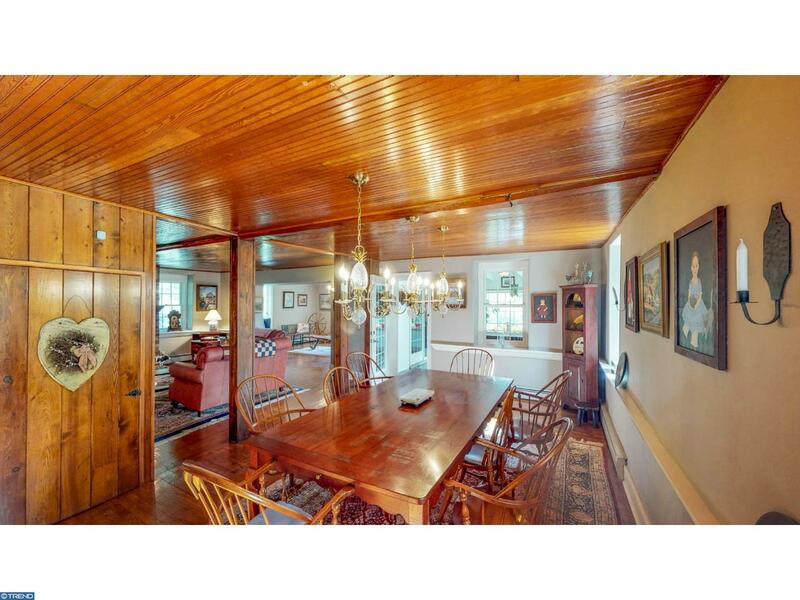 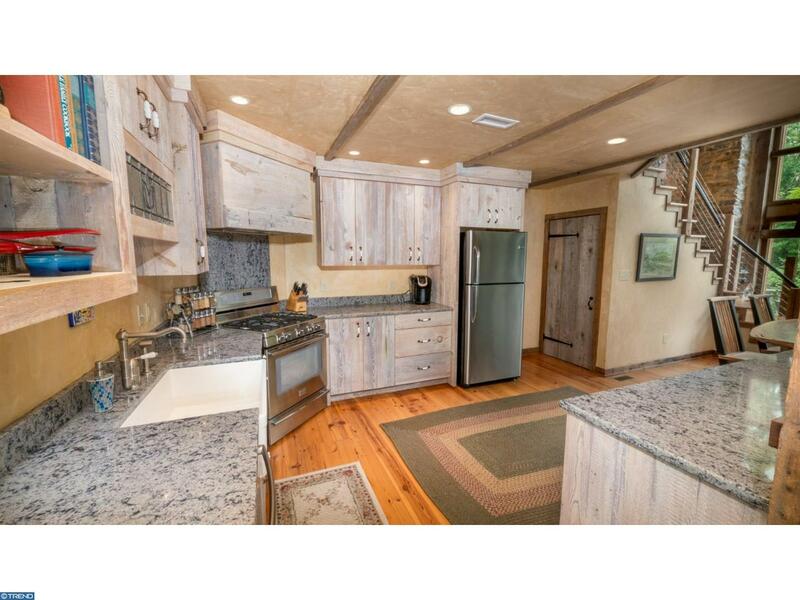 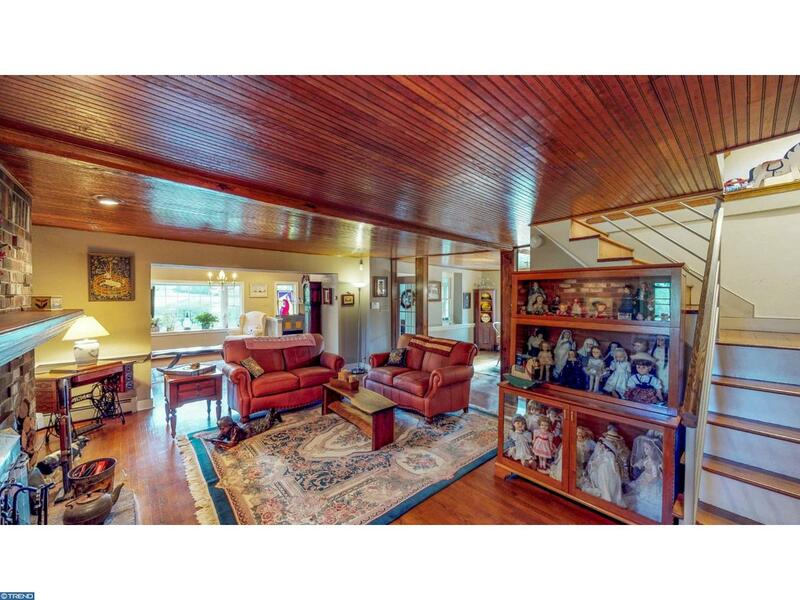 NOTE: Farmhouse is 3,721 sq ft with 3 bedrooms and 2.5 baths. 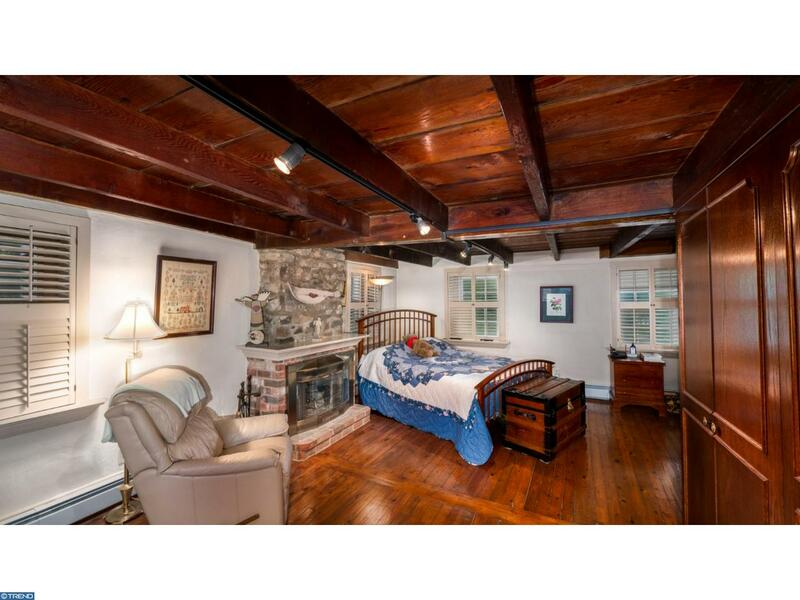 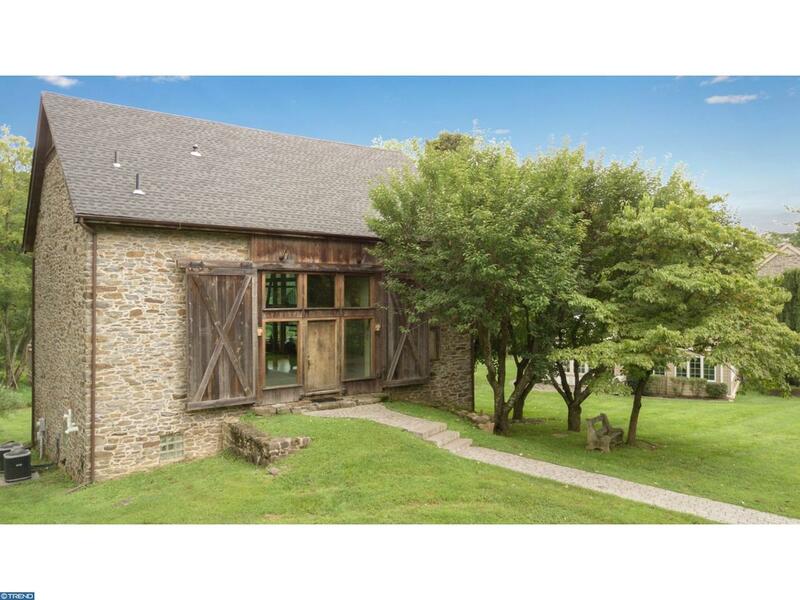 Converted barn is 2,200 /- sq ft with 2 bedrooms and 2.5 baths.